We Italians get easily recognized wherever they travel. Whether we visit the United States, go on vacation in Cuba, venture the culturally more similar Argentina and Uruguay, people can easily spot us as Italian. Conversations soon start, appreciation shown for our beautiful country. Then, the old stereotypes kick in. However, although most of the world defines Italian by the pizza, pasta and mafia stereotype, an old national saying states “Italiani brava gente” (good people) and we’d rather think of ourselves as a country of poets, artists and sailors. Yes, there are a number of abilities Italians have over everyone. 2. There’s nothing that a good meal can’t fix. 4. We always manage to communicate. 5. We are one yet many. 6. We forget all our problems if our national football team is playing. 7. We always help others. 8. We have a good sense of humour. 9. We take summer flings to a higher level. Since we are known for the pizza and pasta country, we have gone above and beyond our limits to create the most amazing pizza and pasta dishes. Italy is the only country where pizza is a gourmet dish and where just 3 ingredients are necessary to prepare a sophisticated pasta course. Not bad for a stereotype. In case you wonder, this is how a GOOD pizza should look like! Whether we celebrate Christmas, a wedding or a promotion at work, we are bound to have a meal. But it won’t just be a simple lunch. It will be a 15 courses meal that will last anything between 2 to 5 hours, during each we stuff ourselves as if we are camels drinking before the longest ride through the desert. And when we feel a bit down, we indulge in some treats – a mouthwatering gelato, a delicious torrone snack, or a good spoonful of nutella. Eating is a huge part of our culture. We spend endless amount of hours shopping for the best ingredients, preparing our meals and even just talking about what we ate or what we plan to eat next. Feeling low? EAT! Celebrating? EAT EAT! Our love for beautiful things has brought us to express ourselves with some of the most incredible art, music and culture. Italian design, fashion and luxury goods are only some of the modern ways to express the artistic genius of which Leonardo, Machiavelli, Caravaggio and many others were our world ambassadors. The same goes with Pavarotti, who sang Italian opera in the world’s best opera houses. We are not exactly masters at foreign languages. We get by with Spanish and we may know a little English, but we are so expressive and communicative that we always manage to make ourselves understood. An Italian will never get stuck for being unable to speak the local language! On the other hand, if you don’t speak Italian, you may confuse a plain and friendly conversation for a heated argument, just because of our hand gestures and our facial expressions. Nothing to worry about! Yes, yes, I got it! We manage to overcome all our differences, forget our regional rivalries and become one big family as soon as we step outside the country. But the minute we step back in, it all goes back to being very local and there is no way a Sardinian would want to be mixed up with someone from Naples or Venice. 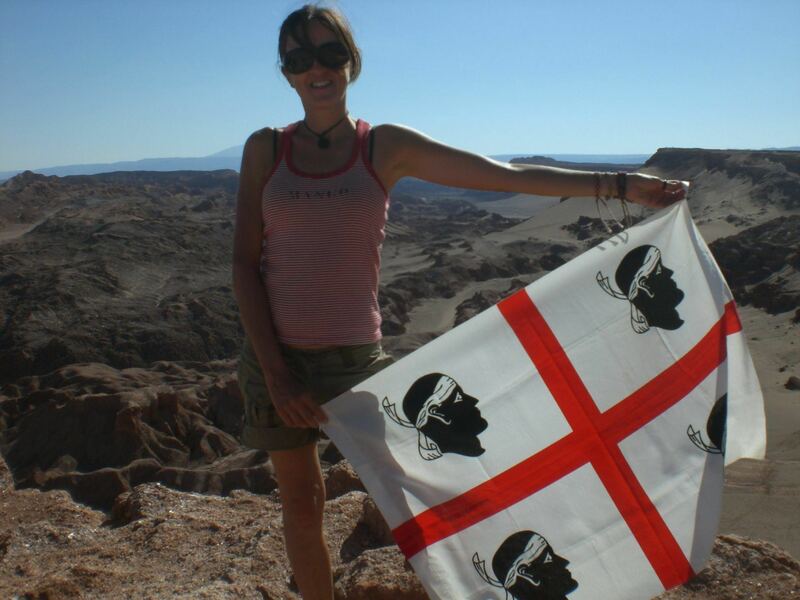 I had to show my Sardinian pride even when I was in Chile! The financial crisis won’t get any worst just because we stop worrying about it for 90 minutes to watch a football match. And if our national team wins, we don’t mind so much that the country may be going bankrupt; there may have been a recent natural disaster for whose reconstruction the government plans yet another raise in the taxes and unemployment rates may be skyrocketing. It’s time to celebrate! We may complain about it, we may feel we don’t have the resources for that, but we are never going to push away and turn our backs the thousands of desperate people who flee war and poverty and cross the Mediterranean in search for a better life. We are the geographic centre of the Mediterranean, but we like to think of it more as its beating heart. 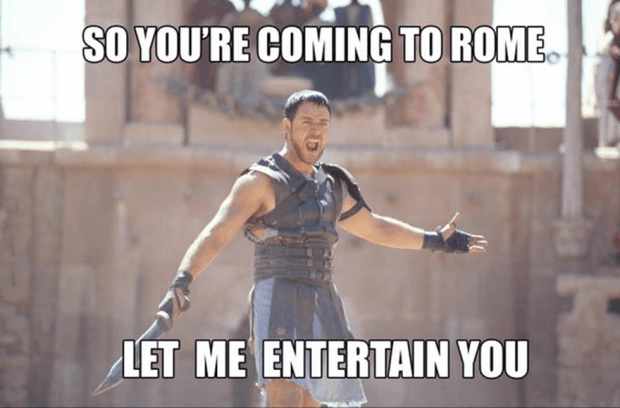 Isis threatens to attack Rome and the Vatican? We don’t really worry so much. They will never find their way through the congested traffic of the capital. And if they do, we may as well make sure that they make the most of their experience in the country and give them the best recommendations for restaurants and places to stay. We may know that it is not meant to be, we may know that there are no chances it will work, but we give each relationship our best. We don’t just pretend to be be in love. We really are. Do you have any Italian friend? What are their funniest abilities? I’ll go for #1 and #2 first, yummy yummy ! Do I like more the beautiful pics or the humorous text ?!? 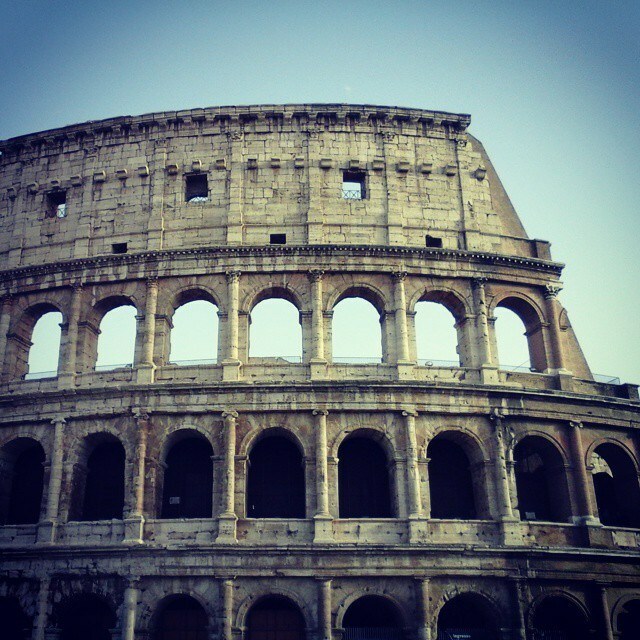 Gosh, I studied abroad in Rome and I just loved being surrounded by Italians. You are totally right on all of these accounts! I miss it everyday. My dream is to spend at least a month in Italy exploring, meeting more spectacular people. Cool post! One month? Try to make it one year 🙂 I am sure you can do it! I have an Italian friend Is that a Sardinian flag ?? That’s awesome ! Don’t remind me of that horrible match! #6 and #8 are obviously true! Ha. Good post. I like the way you roll! Here’s a passionate vote for #s 2, 3, and 4!!! Tops in expressions for great food, great art, and great talk!!! I don’t have an Italian friend (well none yet!) but I’d sure love to have one. I love your pizza and pasta though and I hope to someday go to your country and taste the real thing. I didn’t know there is a some sort of a regional rivalry in your country, it’s sure interesting to know about it. It even goes on within regions and neighboring villages!! Haha, my best friend is Italian and I recognise all of these qualities in her! I still haven’t been to Italy but I’d love to go! I would like to thank the Italian gods for all the pizza and pasta I’ve had and will keep having! All my Greek friends say to us Italians “Una faccia, una razza”. Definitely true – we are very similar. Scarily so! 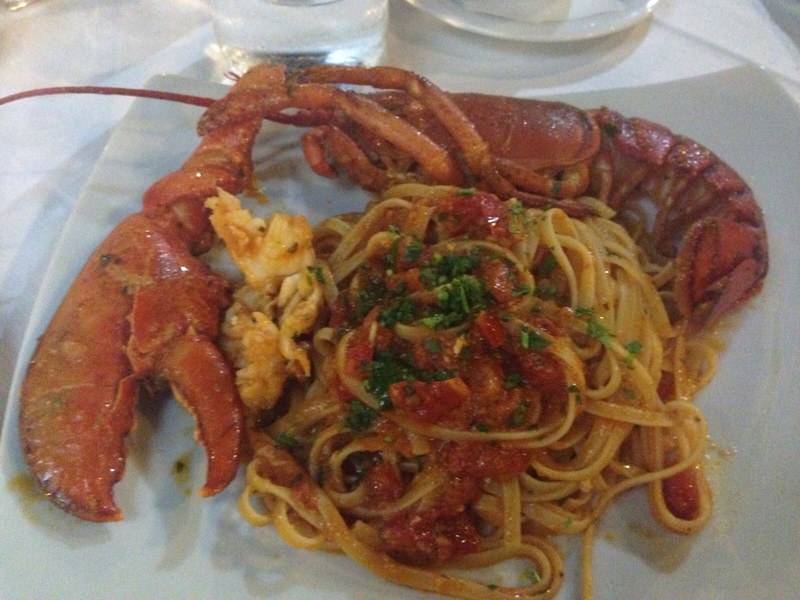 I love Italy because of the food and the attitude towards it! Love this post! I mean, I could tell countless stories of times in which talking with my hands saved me! I have to say I love the Italian expressiveness. 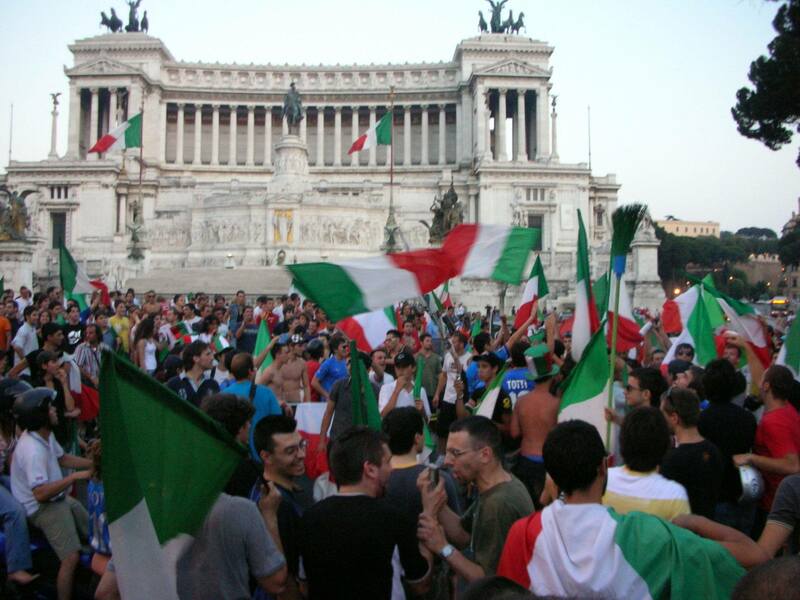 The way Italians communicate, with the gestures, expressions and the intonation is beautiful. It makes any language come alive. We are definitely very lively! LOL, you maybe should add in national pride? Italians and football are something else too – it’s actually great fun to be in any City where the local team has a big home match. I’m a huge fan of Italy though I still have plenty of places there to visit! Pizza is definitely one of the best things to come out of Italy! This list makes me laugh, I studied in Rome for a semester and agree with all of these. Would add the odd ability to eat so well and still say so fit! My host mom loved to force me to eat not just seconds but thirds. We really aren’t all so fit, really!! What a cute post. My stereotypes of Italy are all good: art, truffles and red wine. What more can you ask for – all that and a warm beating heart. Love it. Hihihi stereotypes can be both good and bad! Hi! I would also say THE CLOTHES. Most of my Italian friend were also well dressed. No wonder,when many designers actually come from Italy! ahh, I love this post and I love the Italian way! I have an Italian first name that I also love! I need to get back over for some of that pizza and pasta though! mmmm! Quick, before your world trip!! I’m currently living in Italy … and if I need my dad to help me and there’s a game … there’s almost no way he’ll leave the game!! Beautiful country, beautiful people, lovely language and exquisite food!! Very true, if persons have a positive view of you, why not embrace it? We are great and we know it!